Mother’s Day is just around the corner, which means it’s time to start shopping for gifts! That’s why I’m excited to be partnering with Brea Mall today to share my finds that are perfect for mom! 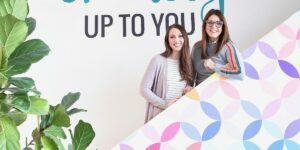 In this Mother’s Day Gift Guide, I’m sharing not only the best places to shop in the mall, but also my favorite gift options within each store. Personally, I always prefer to visit the mall to pick out the perfect gift. I love being able to see and touch the items in person to make sure I pick the best option. Plus, I think it’s smart for Mother’s Day because you don’t have to wait for it to arrive in the mail or risk it getting damaged. With that being said, let’s get into all the fun gift ideas! 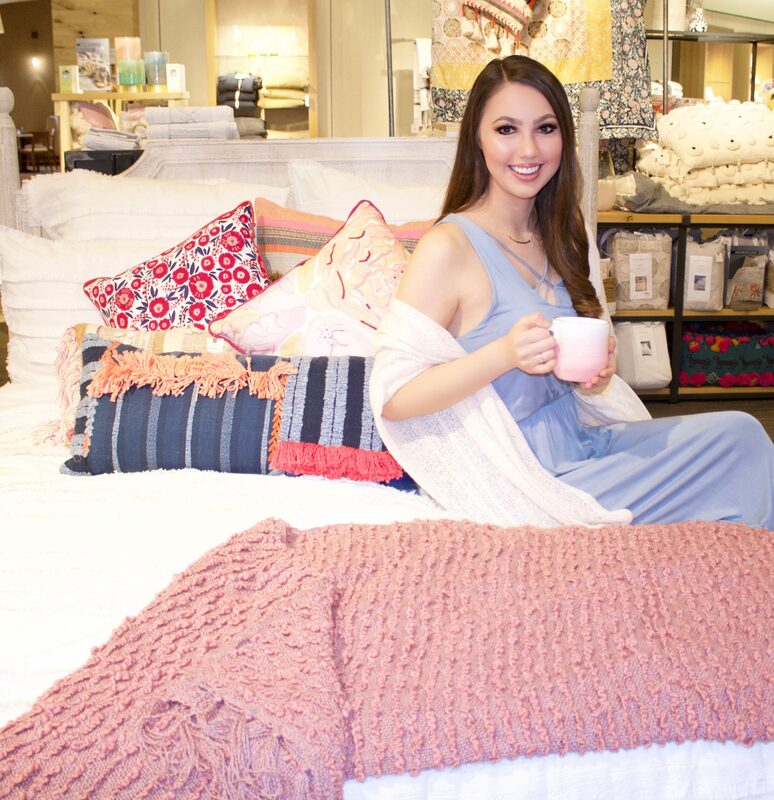 If your mom loves home decor or is redecorating her home, you MUST check out the new Nordstrom + Anthropologie Home collection. 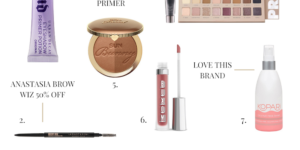 The collection just launched last month in 15 Nordstrom stores and Brea Mall happens to be one of them! 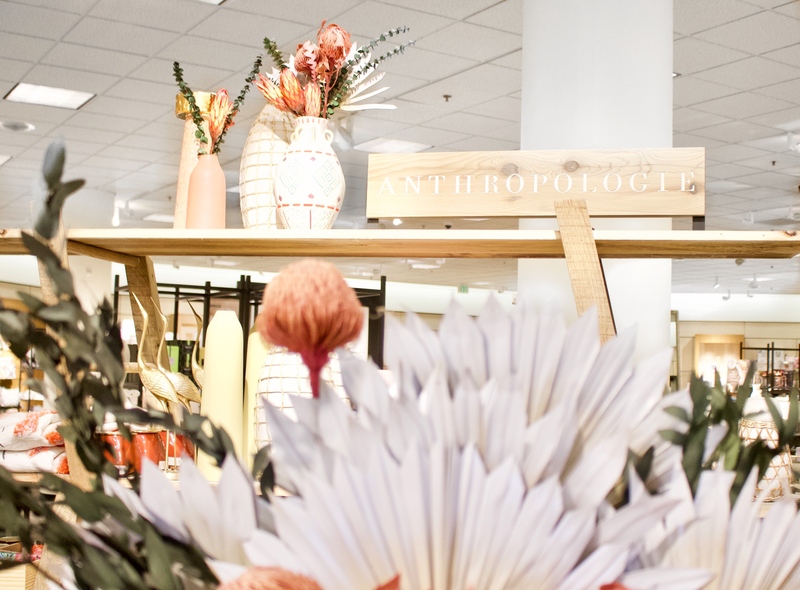 When you arrive at this Nordstrom, head to the third floor and prepare to fall in love. 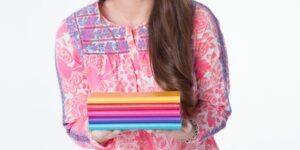 Some of the items I picked out below aren’t your traditional Mother’s Day gift ideas, but I think that is what makes them special! She will have no idea what she’s about to unwrap. Some of my favorites were the patterned accent pillows and a neutral dish set. I also combined a ceramic platter with a mug, sugar pot, small dish, and leather journal to create a little set for tea in bed! How about the baking items?! 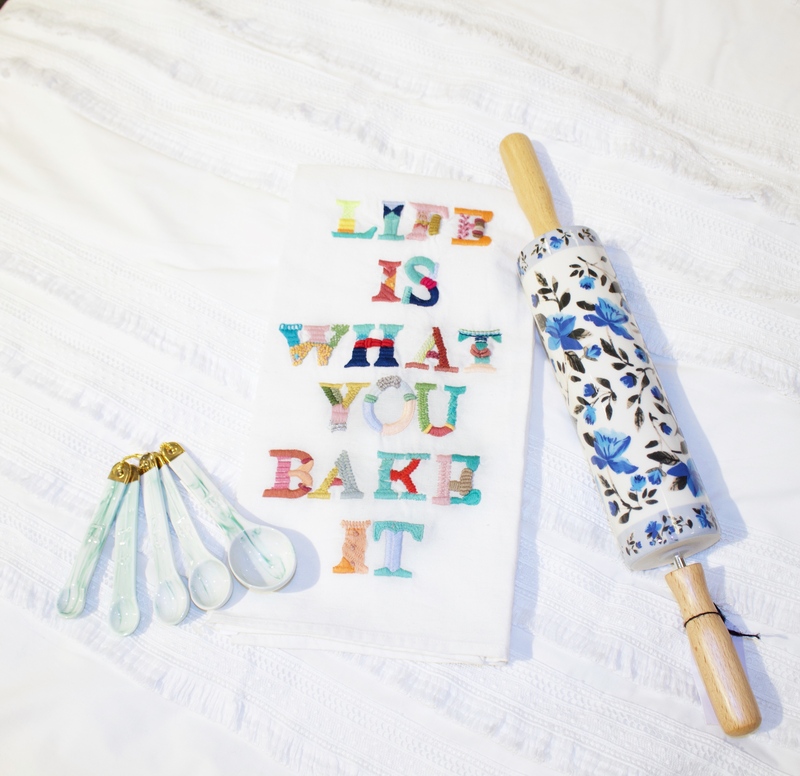 If your mom loves to bake, a cute rolling pin and measuring spoon set would make the perfect gift. Since there are SO many other items in the collection, I highly suggest that you stop by the mall to look at all the cuteness yourself! 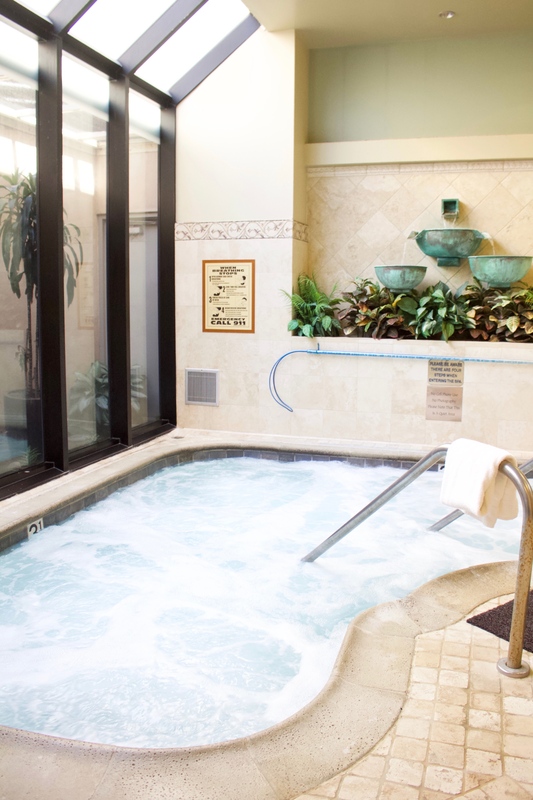 If you’re looking to pamper mom this Mother’s Day, look no further than The Spa at the Glen. 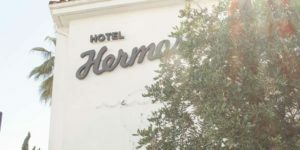 Offering massages, facials, waxing, body treatments, and nail care services, the spa has many options that can be combined to create a relaxing afternoon. You can read more about the various spa packages they offer here. I actually had the opportunity to receive a pedicure when I stopped by The Spa at the Glen and I left feeling so relaxed and impressed. My nail technician Veronica was so detail-oriented and passionate about her job, which made the experience even better. It’s been over a week since my visit and my nails still look perfect. I think it would be so fun to have a girls day with your mom at the spa! In between treatments, you can relax in the spa’s solarium and even have California Pizza Kitchen delivered for lunch. The perfect day right?! 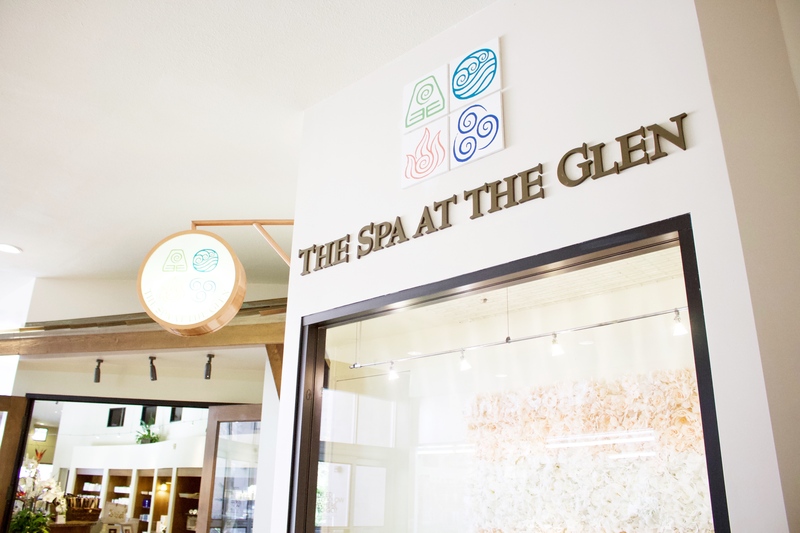 Also, right now you can buy a $100 gift certificate to The Spa at the Glen for ONLY $85!! You can even send it to someone via email! Check out this great deal here. 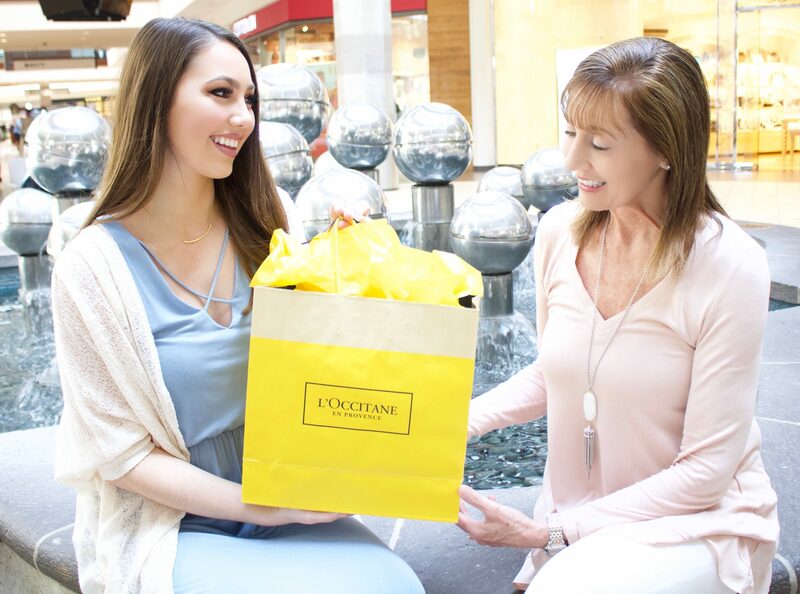 You can never go wrong with giving mom L’Occitane! I’ve tried many products from this brand and I’ve been equally as impressed with all of them. 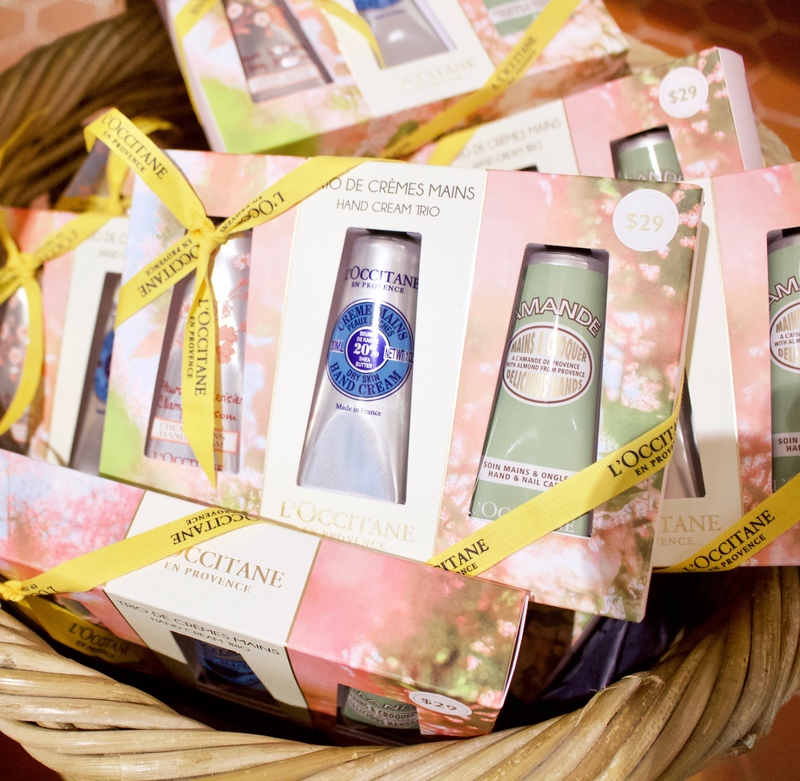 However, to make shopping even easier, L’Occitane at Brea Mall has many gift set options! I may have even picked up the Nourishing Shea Butter Body Care Collection for my mom (seen below on the left). Shhh…don’t tell her! The collection also comes in lavender and almond, both of which smell heavenly. Another one of my go-to gifts is L’Occitane’s Hand Cream Trio. 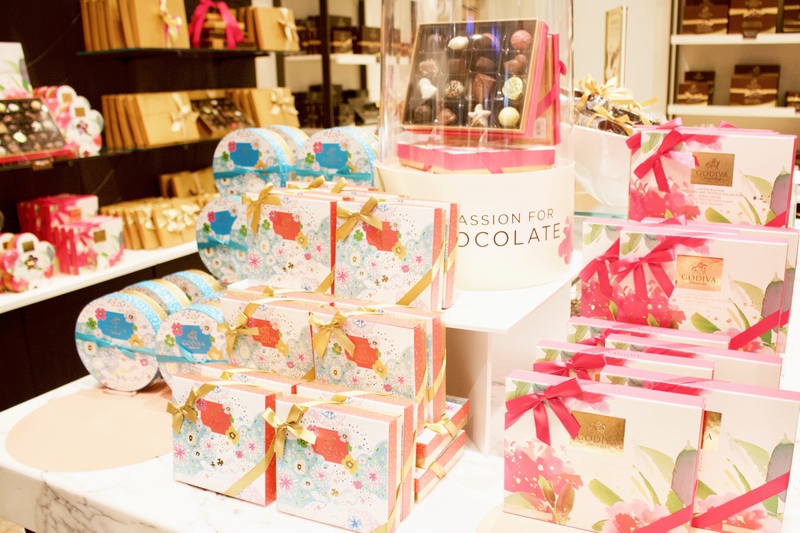 This season they have fun spring packaging, making it another great option for Mother’s Day. If you’re married, this would also be a beautiful gift for your mother-in-law. Also, L’Occitane recently released its Terre de Lumière L’Eau fragrance. 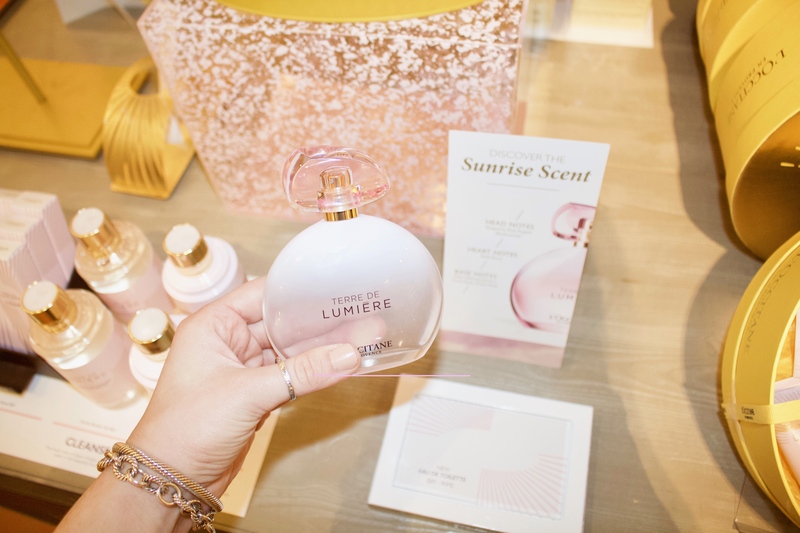 This light, feminine fragrance can be purchased on its own, but I love how the collection box also comes with the Terre de Lumière L’Eau Gentle Shower Gel and Beautifying Body Milk. What’s even better about L’Occitane is that they place your gift in a beautiful bag with tissue and ribbon. I’m all about not having to wrap something myself and the presentation is beautiful. 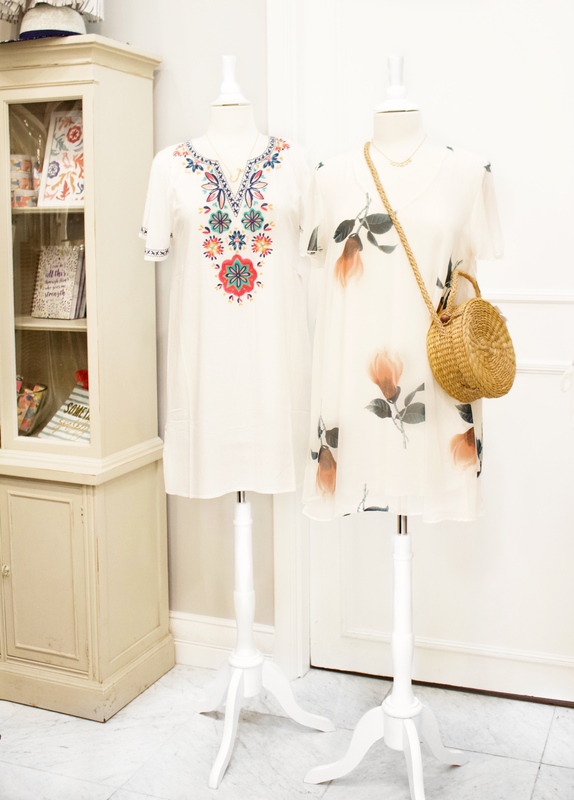 If you want to get mom a new outfit for Mother’s Day — perfect for her to wear to a Mother’s Day brunch — visiting the Daisy Shoppe at Brea Mall is a must! While there, I fell in love with this high-low striped dress. 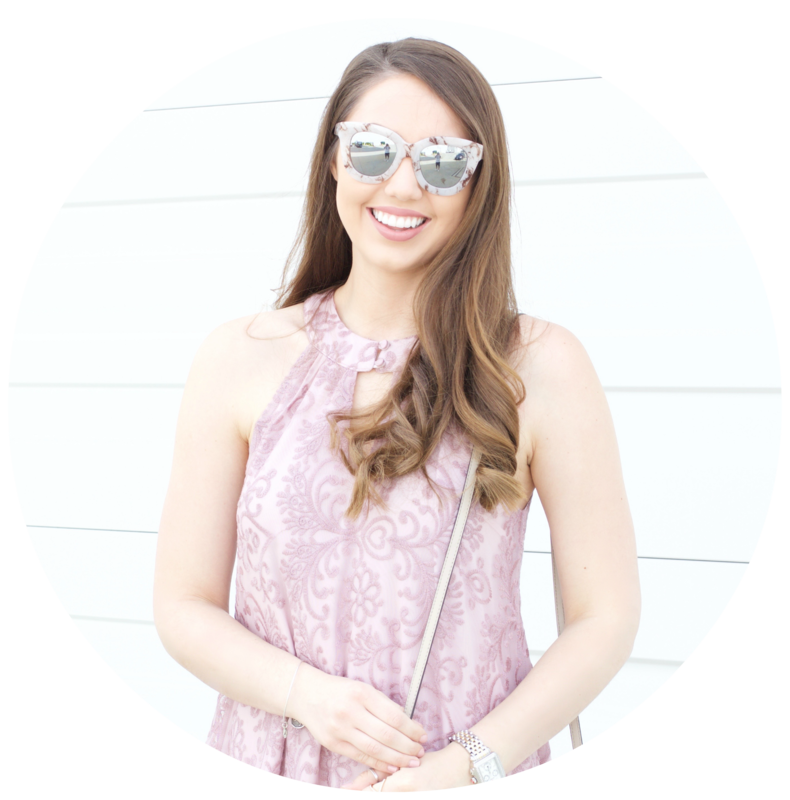 To accessorize the look, I paired it with a cute straw round bag, which is a major trend right now! This isn’t the only cute dress though! Everywhere I looked I was finding another dress option that was equally as cute. Not going to lie…I wanted it all, including the jean and top combo below. 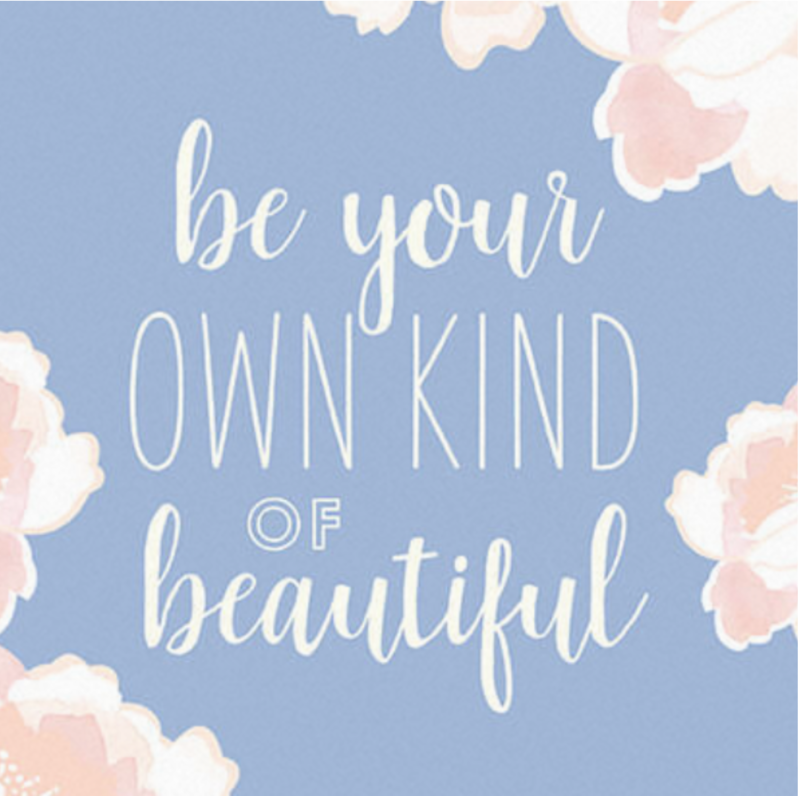 I think the hardest part for you will be walking out of the store with only a gift for mom 😉 I guarantee you will pick something up for yourself too! 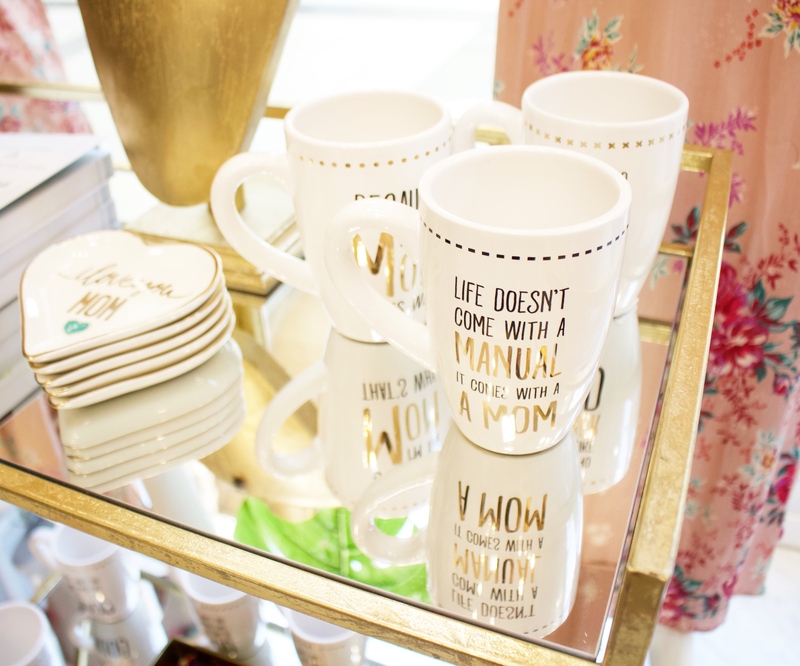 Also, the Daisy Shoppe has many mugs and jewelry trays! These just happen to be two of my go-to gifts! If you gift mom a mug, my suggestion is to pick up a box of tea to place in the mug and then wrap it up in a clear cello bag! 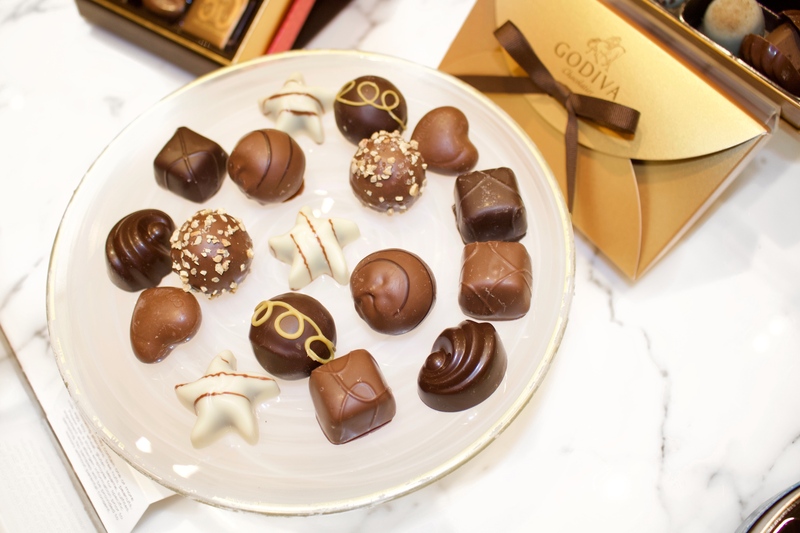 Oh Godiva! A chocolate lover’s dream! Once you enter the Brea Mall location, you won’t want to leave! While there are so many gift options, I must say that the Mother’s Day sets are my favorite because of the pretty packaging! Give these on their own or pair them with another gift! Either way, mom will love it. While there, I had the chance to try the Lady Godiva Milk Chocolate Biscuits and the Cookie Dough Cake Truffle. Both were delightful and definitely satisfied my sweet tooth! I think I may just have to go back to get an assorted box of truffles. 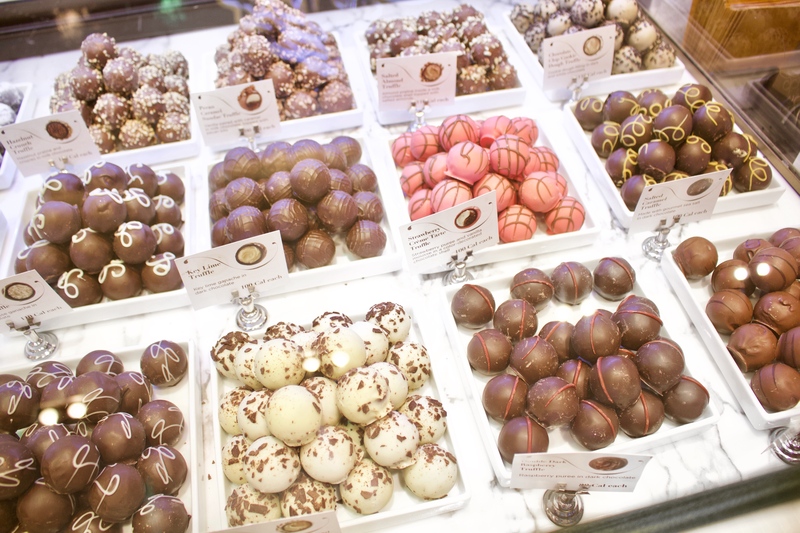 What I also love is that Godiva has a chocolate case where you can hand-select your favorites! 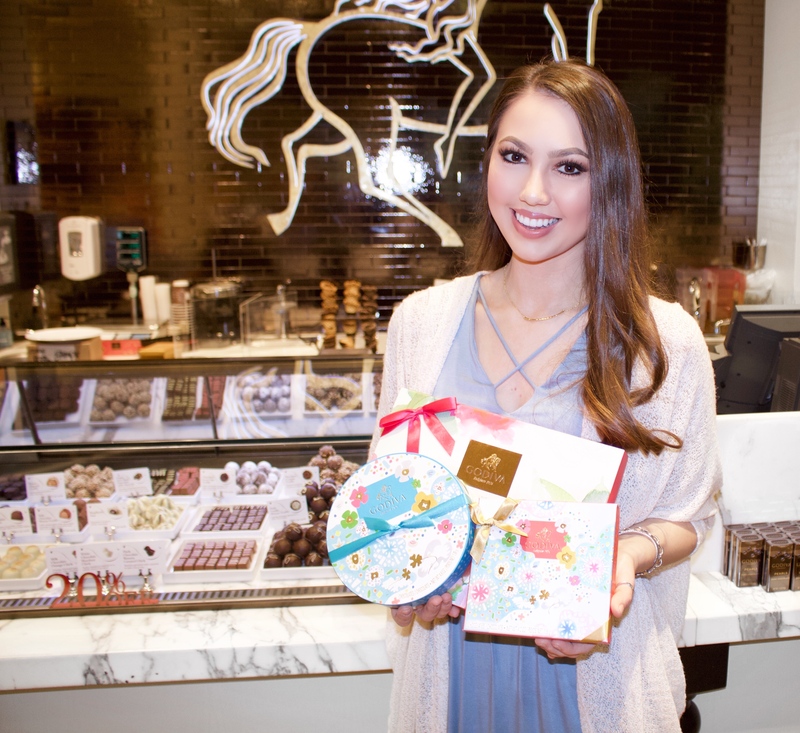 I’ll warn you though, with over 40 chocolates and truffles to choose from, it may take you a while to pick which ones you want to gift. However, I think it’s SO worth it! With all these great gift ideas in mind, it’s time to get shopping! Below is the address of the Brea Mall so that my local readers can stop on by to find the perfect Mother’s Day present! Happy Shopping!